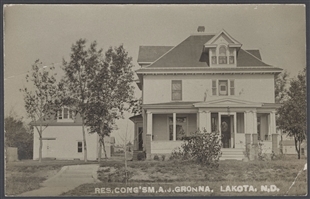 Congressman Asle Gronna lived in tiny Lakota, North Dakota. 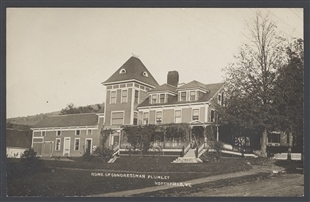 His town celebrated Gronna's residence in mail-able form. The Congressman rubbed shoulders with the leaders of the nation, and he brought that touch of glamour back with him to this house on a quiet street. 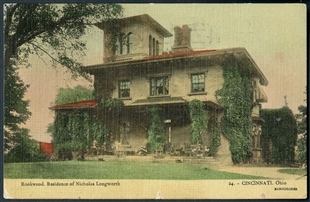 In villages like Lakota, a Representative was a local celebrity and his house a point of interest. 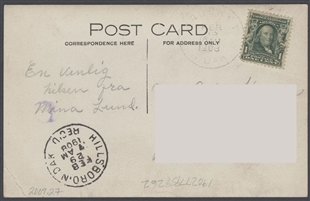 The message on the reverse is in Danish, not surprisingly. 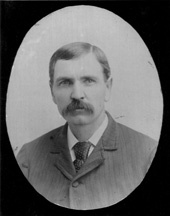 Many Danish immigrants at the turn of the 20th century settled in the upper midwest.